On a cold winter morning in Pottstown, a handful of kids are waiting to get to school. But no yellow school bus is on its way to pick them up. Instead, the students will walk together, picking up more kids at several stops and homes along their route to Rupert Elementary. Several adults in neon green vests are on hand to help corral the children and safely navigate intersections, prevent fighting, and keep shoes tied. It’s a simple concept, but such “walking” school buses have caught on mostly in the UK, Canada, Australia and New Zealand. In the United States, just 15 percent of schoolchildren walk to class, down from nearly half of all students in 1969. With parents concerned about traffic, weather, and safety, jumping in the car has become easier. 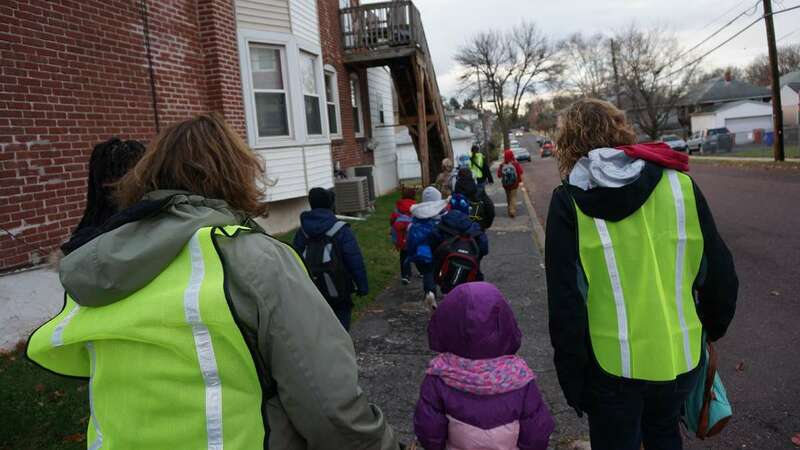 But in this Montgomery County town, the walking school bus is an attempt to change the culture. Leonna Williams, 10, is all for it. Fellow fourth-grader Saryah Young agrees. She used to walk by herself to school, but prefers the group journey. For others, though, it’s a harder sell. 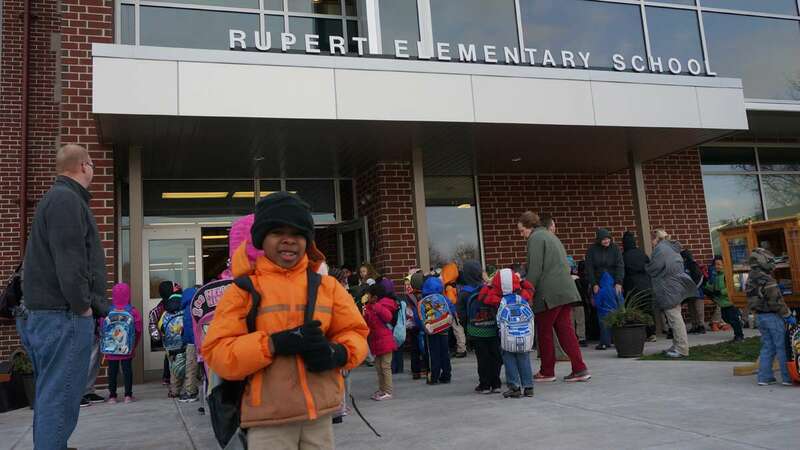 Battling a brutal wind, one kindergartner said it was too cold. “It’s freezing,” she said, vowing that she would try to get her mom to drive her to school the next day if it was just as chilly. A practical solutionThe idea began as wellness initiative that might be fun to try at some point. But when Pottstown redistricted and a major road, High Street, was no longer classified as a hazardous roadway, students who had been bused no longer had the option. 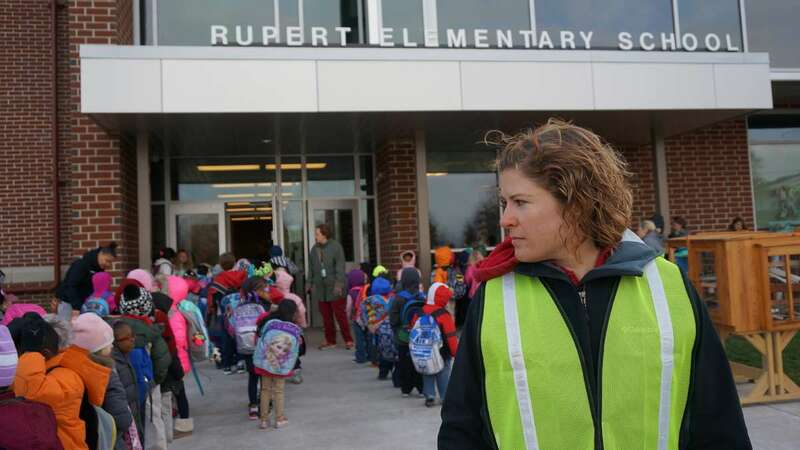 “The need came up more immediately, like ‘Hey, our community needs this because they’re having some challenges in getting some children to school,'” said Rupert Principal Matthew Moyer. Rupert decided to try the walking bus as a practical solution with health perks. School officials hope that along with reducing tardiness and boosting attendance, the bus will improve academic performance, mental health, and help kids lose weight. 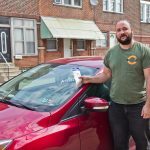 Leading the effort is Pottstown’s wellness coordinator David Genova, a tall and trim former personal trainer who’s passionate about exercise. Together with the police, Genova mapped out three walking routes — the longest is a mile and a half — to most efficiently cover the neighborhood. The bus launched in October. The ‘perfect’ case studyAnecdotally, things have gone well. 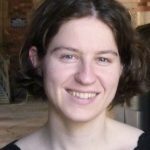 But to truly tell if the walking bus makes a difference, Genova has brought in Mary Louise Mitsdarffer, a graduate student at the University of the Sciences in Philadelphia. 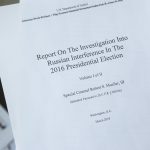 “With the piloting of the walking school bus in one school — and having two very similar demographic schools — it became the perfect case study,” she said. 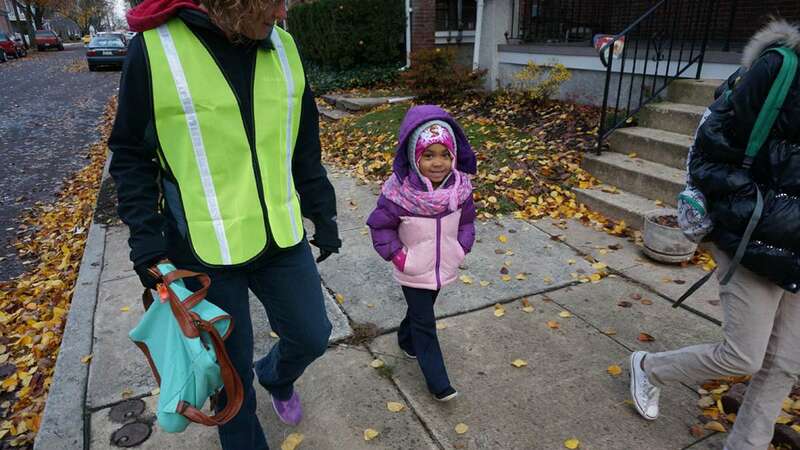 Previous research on walking school buses hasn’t typically shown that the programs help kids shed pounds, even if they are getting more exercise. But Mitsdarffer said the buses have other benefits. In the case of Pottstown’s bus, the community effects might be the strongest. Most walking buses use parents as volunteers, but Genova tapped primarily into local businesses. The district vetted each volunteer with a series of background checks and provided a two-day training session. Genova said about 40 volunteers and six or seven businesses are now involved. The unusual design allows people who don’t usually mingle with schoolchildren, teachers and parents to become more integrated with the community. She calls this social capital, and, along with health indicators such as body mass index, it’s one of the things she’ll be monitoring. 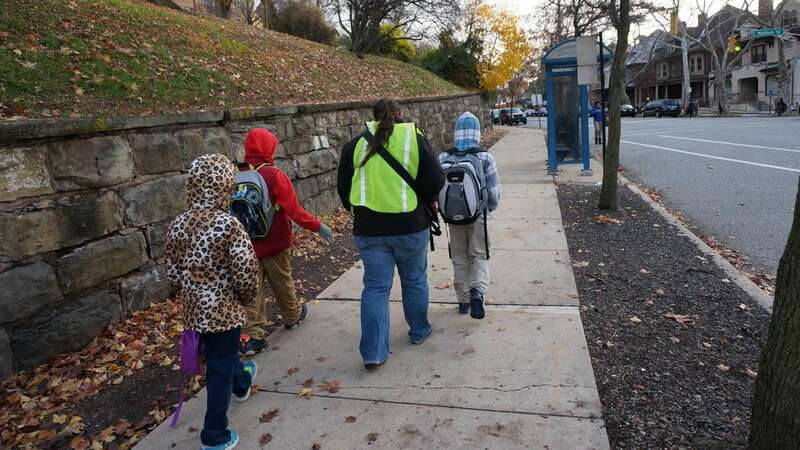 If the program is successful, the Pottstown district would like to expand the walking school bus to their other elementary schools. High potential for failureThe bus faces some long odds. 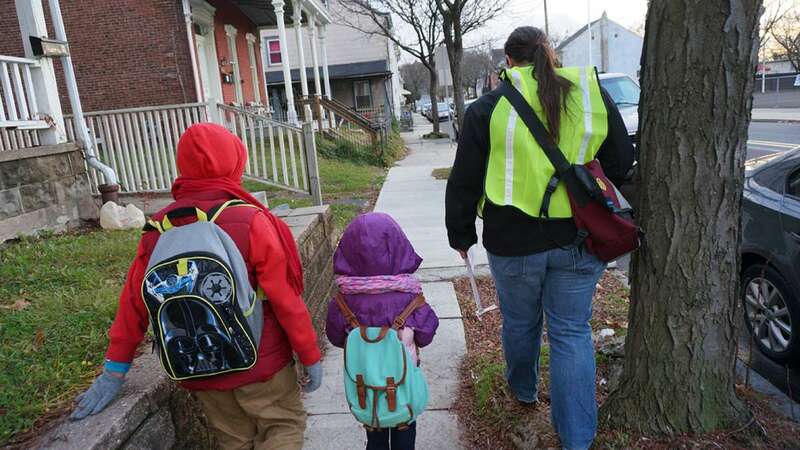 About 95 percent of walking school buses eventually grind to a halt, Genova said. Many programs started by researchers lapse when grant funding ends, Mitsdarffer said. Already Pottstown’s bus has persevered. 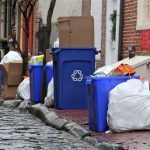 After originally planning to give the kids a break from walking in January and February, administrators decided to keep the routine in place. Then, several weeks after returning from winter vacation, winter storm Jonas dumped more than a foot and half of snow. The walking bus, as planned, didn’t operate on the days with delays, but successfully ran the first full day of school. In a way, Genova said, failure isn’t an option.